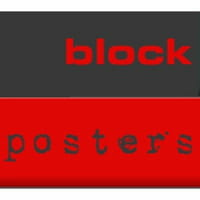 Block Posters is an online tool that will allow you to cut your (digital) photos multiple frames and create a poster size ones out of these frames. Its operation is very simple. 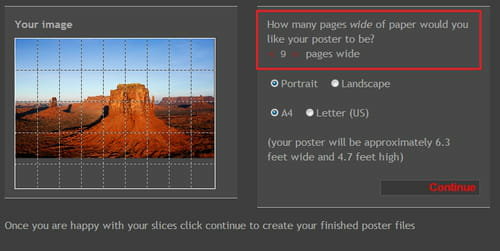 In three steps, you can easily create a larger poster size image. Step 1: Upload a photo or picture. Step 2: Seperate your photo into several frames. Each of these frames correspond to pages (.pdf), which when assembled, form a giant poster. Step 3: Download and print. Published by deri58. Latest update on January 30, 2013 at 11:20 AM by deri58. This document, titled "Block Posters - Create wall posters online," is available under the Creative Commons license. Any copy, reuse, or modification of the content should be sufficiently credited to CCM (https://ccm.net/).